A beautiful new variety, a very smooth, shallow eyed variety. Magenta skin with matching flesh. Mashed this variety is a winner. It has a large thrifty plant that yeilds very well. 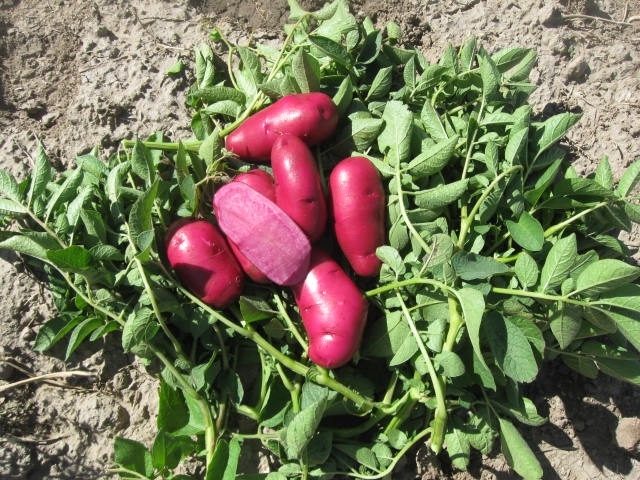 Tubers can reach 10 oz. in size. It's a mid to late summer variety.